All companies and businesses have a culture, no matter how subtle it seems. This culture includes shared values, beliefs, and standards, all of which define its nature. As you can expect, the company culture is rooted in the strategies, approaches, structure, and attitude towards customers and employees. A strong company culture is essential to the ultimate success of a business. 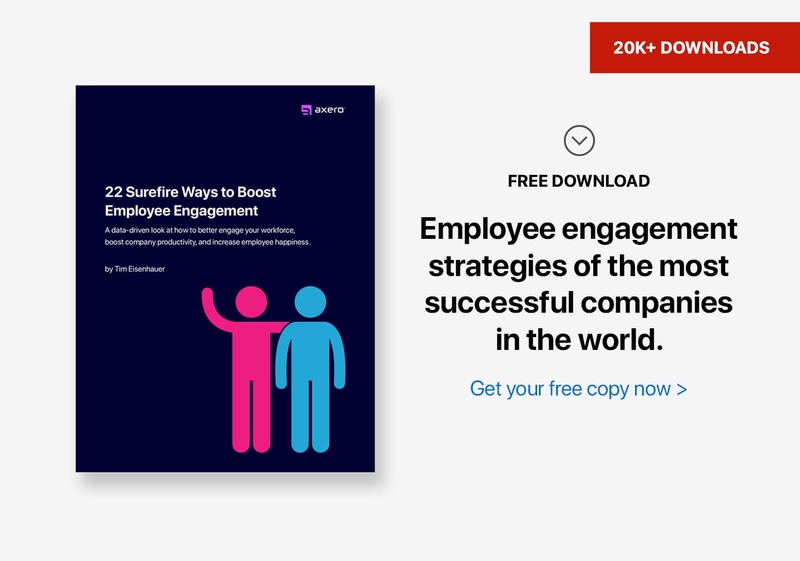 There are obvious benefits to building a strong company culture and developing an employee engagement strategy ... employees are more motivated, low employee turnover, higher productivity, personal accountability, and increase in enterprise value. It turns out that building a social company culture can propel a business forward. With social and mobile changing businesses, greater engagement across social channels comes off as better service delivery and transparency. How though can being social help you grow and strengthen your belief system? Since your company vision tells people why you exist, it can have a powerful impact when communicated across social channels. This purpose is what drives many people to be advocates, not so much what you can do. In the age of social, communicating your vision using visual media and infographics has never been easier. This approach not only helps others identify with your brand, but it helps grow your culture from the outside and strengthen your company right to the people it serves. Your company’s values are a set of guidelines on how you intend to achieve your vision. They could be anything from how you serve your clients, to the professional standards you uphold. In most cases, these values revolve around employees, clients, and professionalism. Having authentic values is more important than being original. As a social business, communicating your values to both employees and customers will leave them with a good idea of what you value. Employees who believe what you believe will more likely want to work for you and will support your company culture all the way. Whether it's in a recruitment video, employee testimonial, or a social media infographic, communicating your values will help attract the right talent and customers willing to do business with you. Your values are enshrined in your company practices. If you value your employees, then it should be clearly evident in the level of investment you make on them. For example, a company that places high value on employee respect can practice these values by providing opportunities that showcase their talents. Highlighting the practices within your organization is one way to get people behind your company values. For example, why not use social media channels to highlight an employee who is helping the company achieve its milestones in specific ways. A behind-the-scenes video can also be used to communicate your practices. This, in turn, helps your employees see the value you place on them and brings out the human side of your business. Your company culture cannot grow and be strengthened if your employees do not embrace your core values. Recruiting employees who are best suited to your corporate culture is key in this regard. People stick with cultures they like and would even be willing to accept a lower pay. Social is one way to find the right fit for your company culture. It’s easy to communicate your values and practices on social, both of which communicate to potential employees about your company culture. Based on this information, you are more likely to hire someone who truly believes what you believe, which is key to growing your company culture. When stories are identified, shaped, and retold as part of your company culture, this can have a powerful impact on its growth and strength. Stories inspire and help people understand what you stand for without coming off as formal. One way to tell great stories is through social media. Social media has the right tools to tell and amplify your company culture stories. Think of the many elements of narratives being told on social and how they help communicate and amplify company cultures. Companies like Coca Cola and Apple are known to tell stories that inspire and that are grounded on the companies’ cultures. Social has become the platform of choice for storytelling for many businesses since it is easy to share and create advocates for the brand and ultimately the company culture. Where your business resides has a powerful impact on your company culture. For example, why do tech firms cluster in Silicon Valley, or why do financial firms cluster in New York? The environment where your company is located will rub on your culture, ultimately defining how your employees and customers think. Social can help amplify the cultural environment as well. Whether you are a tech company, a design, or an architectural firm, the environment can be used to amplify your social media channels. Posting content that’s related to your company goals and your surroundings will help employees and customer relate and revitalize your brand. Social can help communicate and amplify what your company thinks, feels, and acts. What you put across on your social media channels using the above 6 ways will help grow and strengthen the values, practices, and strategies that your employees, customers, and stakeholders believe in.